This document instructs users how to connect their game system to Resnet. 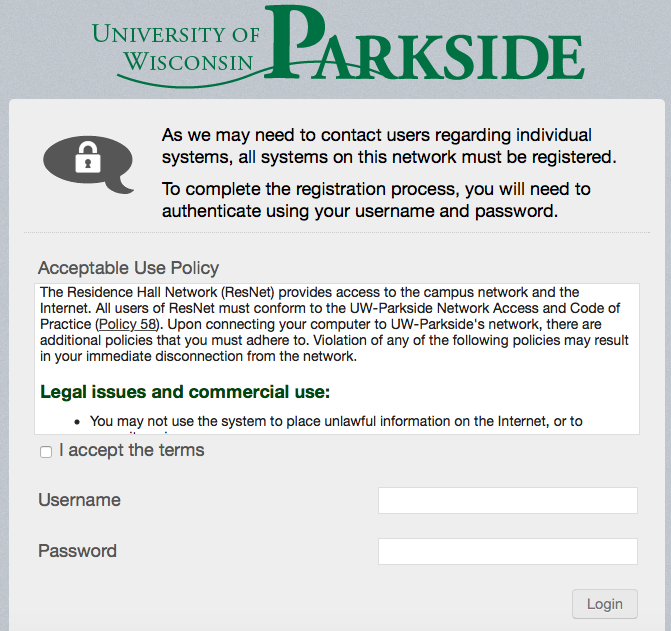 In order to get your game system connected to Resnet, you must register your system by clicking on the following link: https://packetfence.resnet.uwp.edu/gaming-registration. You will be asked to authenticate your UWP account; then you can follow the instructions to register your system. You will also be required to enter the mac address of the system you are trying to register. The mac address will be a 12 digit code made up of numbers and letters separated in pairs, so it will look similar to this: 01-23-45-67-89-1A.